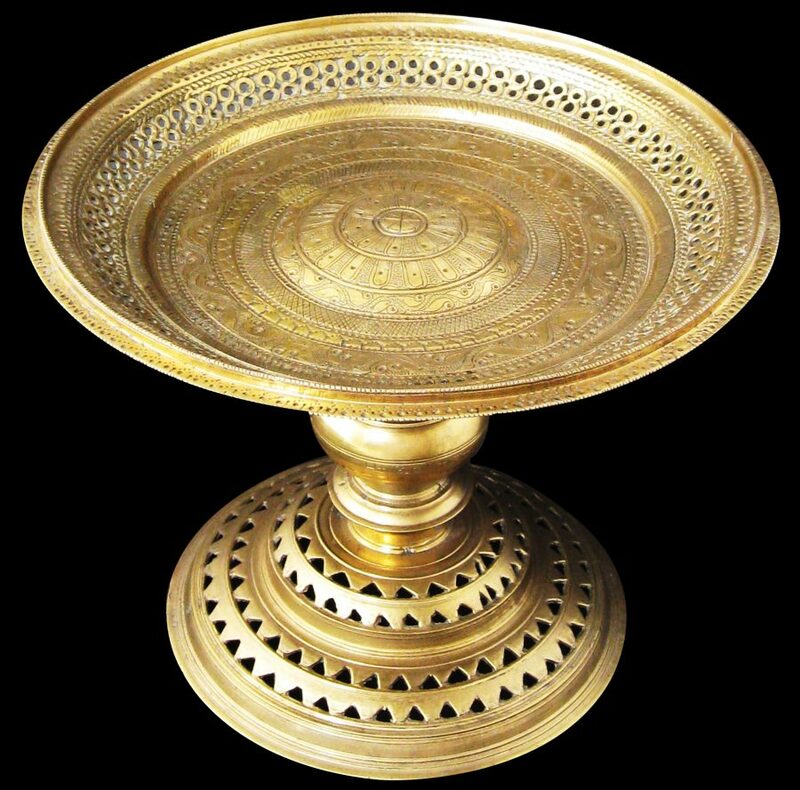 This particularly large and impressive open-work cast stemmed offering tray or tazza has a wide dish with an open-work rim and a stepped edge, a prominnet baluster column stem, and sits on a wide, flared foot that is tiered and with repeated triangular open-work borders. 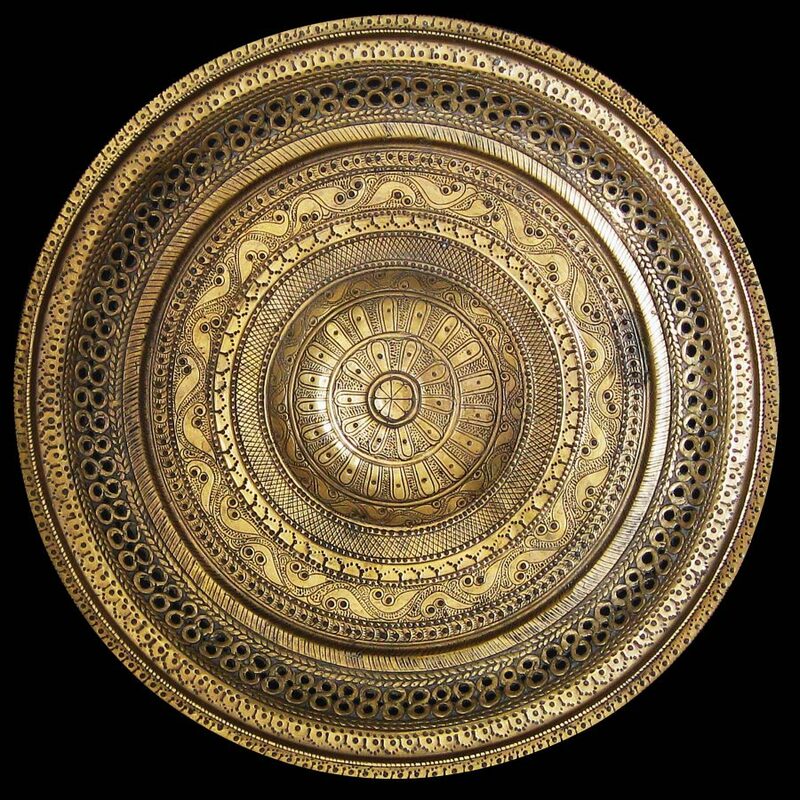 The centre of the dish is gently raised and engraved with a floral motif around which concentric circles filled with floral and geometric patterns are engraved. 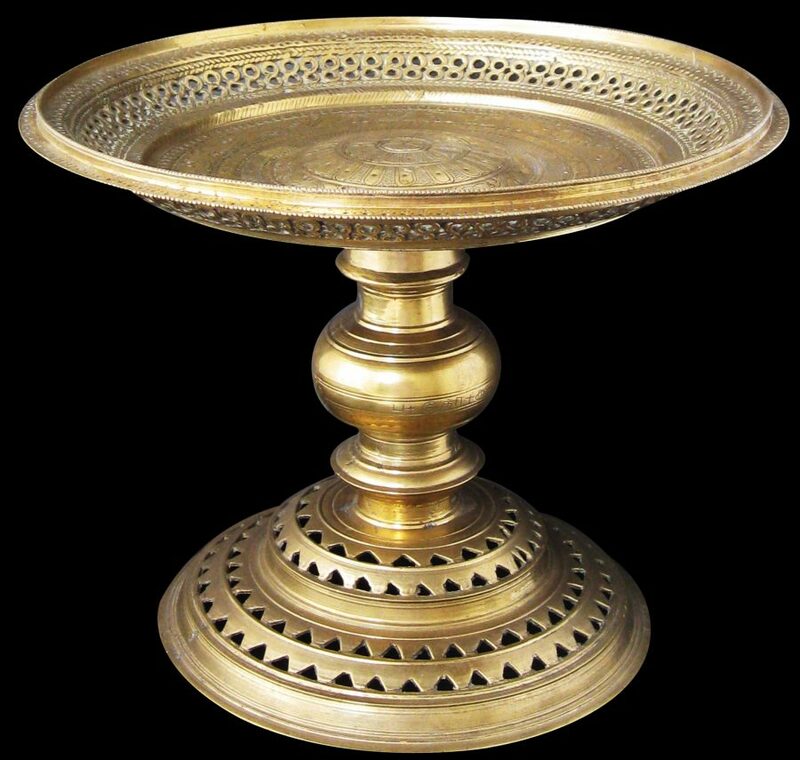 It is most probably a ceremonial offering tray, known as a dalumura tatuva, used in the temple. It might also be a serak-kale, or a brass table for taking rice, although these tend to have flatter tops to allow the rice pot to sit on top more easily. Variants of both are illustrated in Coomaraswamy (1956). 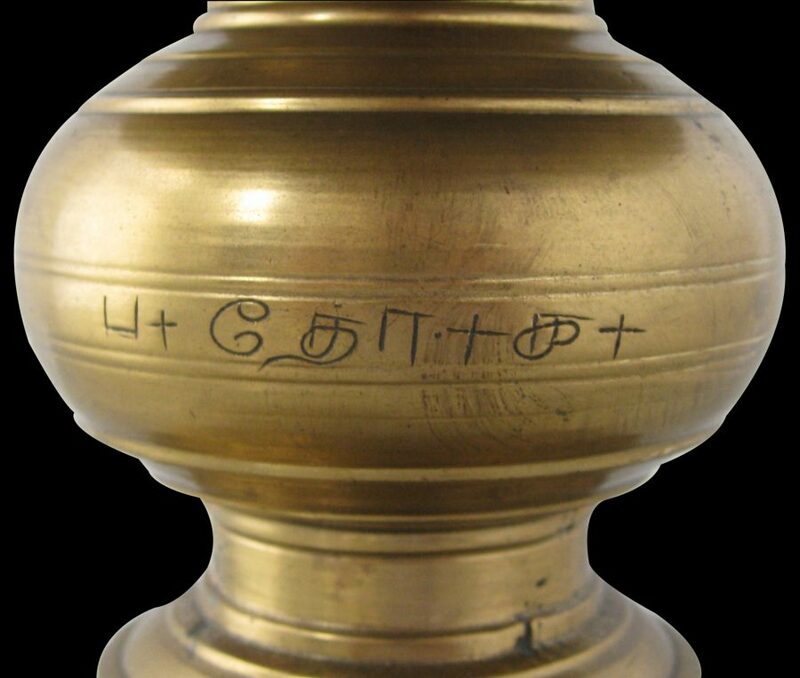 The stem is engraved with a brief Tamil inscription. Overall, this is an impressive piece of Sri Lankan brassware.